You can test signoSign/2 for 30 days without any limitations. At the end of the trial period the applications will refuse further processing. If you already acquired a licence to use, you will obtain a licence key from us. Either as data file or text, consisting of numbers and alphabetic characters. In the licence dialog you fill in the appropriate data file or key. After that, your version is activated. All settings and configurations executed before will of course remain unchanged. ATTENTION! Please store the licence key in a safe place. You can use it again in case of a relocation of the system or a reinstallation. 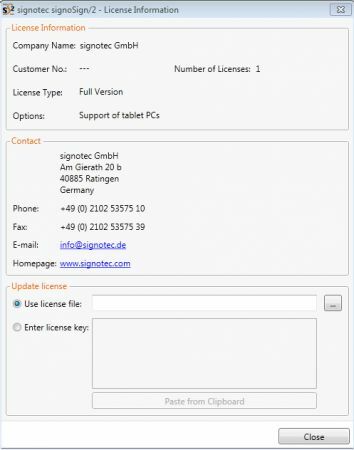 Depending on the used licence key there are more or less options usable in signoSign/2. For example the usage of a Tablet-PC or the clearing of Plug-Ins. 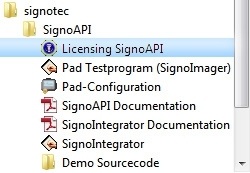 Open the licensing of the signoAPI via the start menu. Please tell us the software code by clicking on “request licence by mail”. 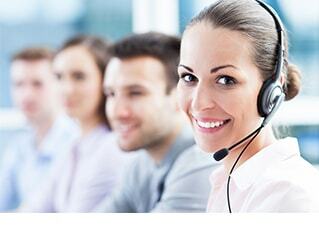 In the following dialog please fill in your business name, customer ID, and invoice number. 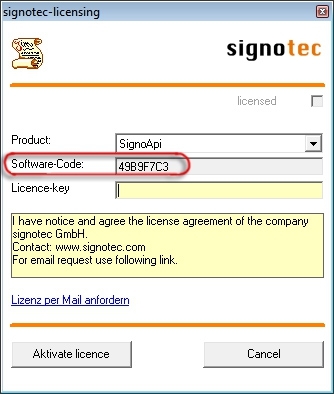 In signoSign please act analogue to the signoAPI and send us the software code.